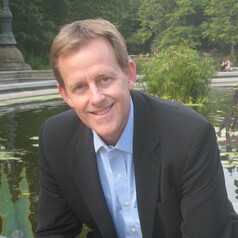 Matthew Dennis is Professor of History and Environmental Studies. He received his Ph.D. from the University of California, Berkeley and has taught at Oregon since 1988. His research interests and teaching are diverse. He has written on colonial America and the early national United States, the history of American Indians, American colonialism, nationalism, and identity, the American landscape and environment, and the history of death, mortal remains, and public memory. His books include Seneca Possessed: Indians, Witchcraft, and Power in the Early American Republic (University of Pennsylvania Press, 2010); Red, White, and Blue Letter Days: An American Calendar (Cornell University Press, 2002); Riot and Revelry in Early America (Pennsylvania State University Press, 2002) (co-editor); Enclyclopedia of Holidays and Celebrations: A Country by Country Guide, 3 vols. (Facts on File, 2006) (general editor); and Cultivating a Landscape of Peace: Iroquois-European Encounters in Seventeenth-Century America (Cornell University Press, 1993), which won the New York State Historical Association Manuscript Award and the Erminie Wheeler-Voegelin Prize from the American Society for Ethnohistory. He has received fellowships and grants from the National Endowment for the Humanities, the Rockefeller Foundation, the Newberry Library in Chicago, the Huntington Library in San Marino, California, and the Beinecke Library at Yale University. He is currently engaged in the research and writing of a book-length study, American Relics and the Politics of Public Memory.